Shop Till Ya Drop ! Another Hey to Terry and not going to comment on the shopping bit . . . . So glad you both had such a fun trip. Thanks Elina 😀 We did have a great time. Les femmes magasinent et nous on emmagasines les factures …!!! 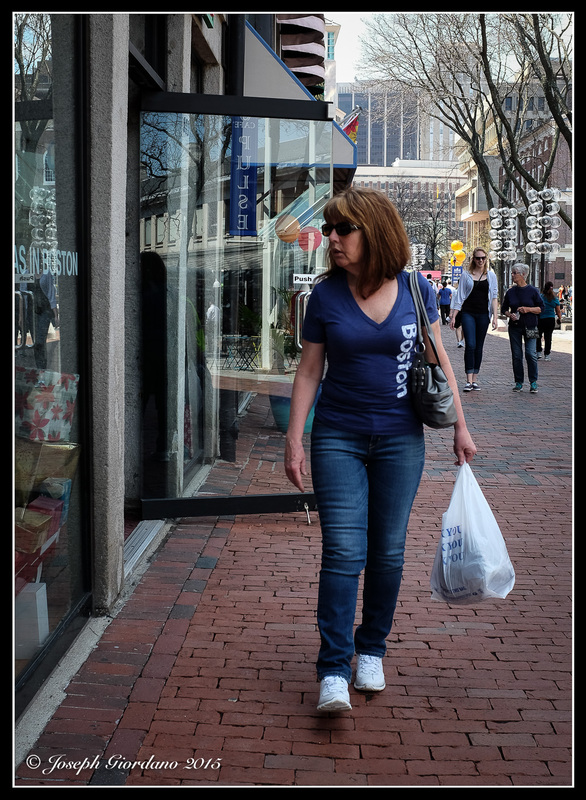 Nice pic of Terry enjoying her lovely day in Boston shopping! What better way to spend the day! It’s just recreational shopping, Joe. LOL, yes it is 🙂 Thank you.